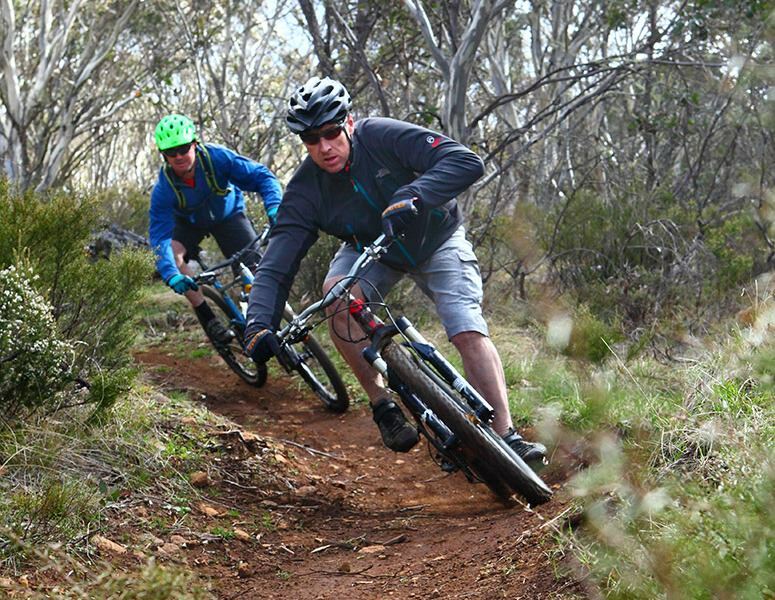 A mountain bikers dream undulating ridge lines with amazing views and massive descents through layers of forest with varying terrain, coasting XC, sneaky single tracks through the snowgums and over river crossings, fire trails and old stock/mining routes for some real bush tracks. 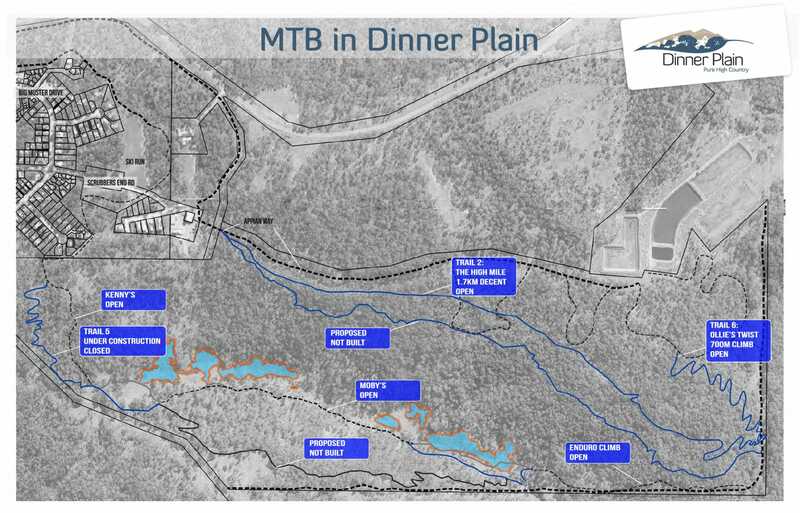 Dinner Plain is surrounded by the Alpine National Park creating a magnificent setting for trails. In summer the ski cross country trails are a great place to start if you want to get out amongst it and is a great way to see the surrounding mountain. 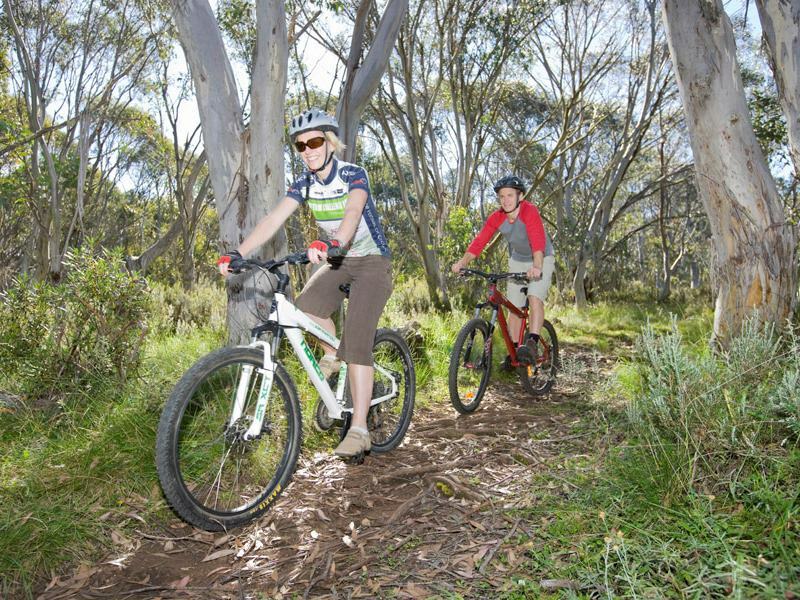 The fresh alpine air, the cooling of the altitude along with a canopy of snowgums provides a great environment for riding even on the hottest of days. Mountain Bike guided rides are available, along with Mountain Bike hire through DP Riders Bike Club. For tracks available in Dinner Plain see DP Riders wesbite. 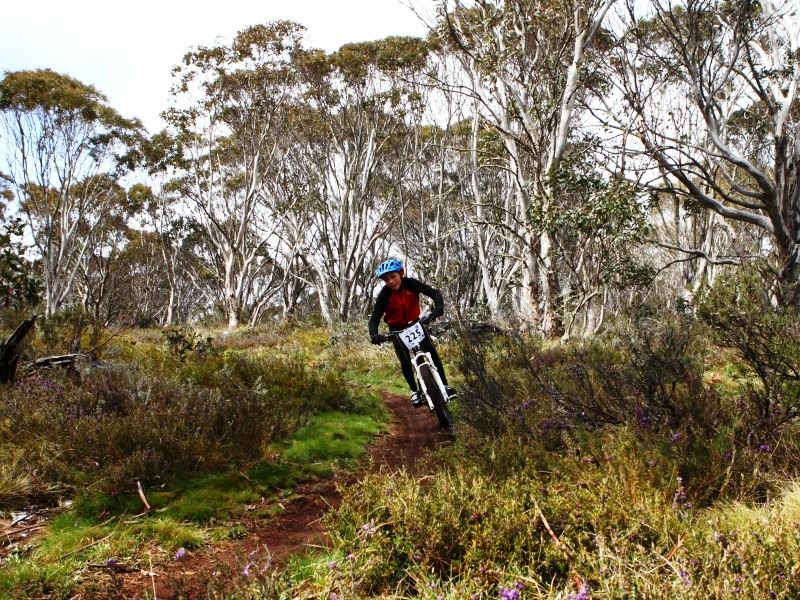 If you wish to explore a full list of tracks and trails around Dinner Plain pick up a map of the Mt Hotham & Dinner Plain Tracks & Trails guide from the Visitor Information Centre or download a copy here.